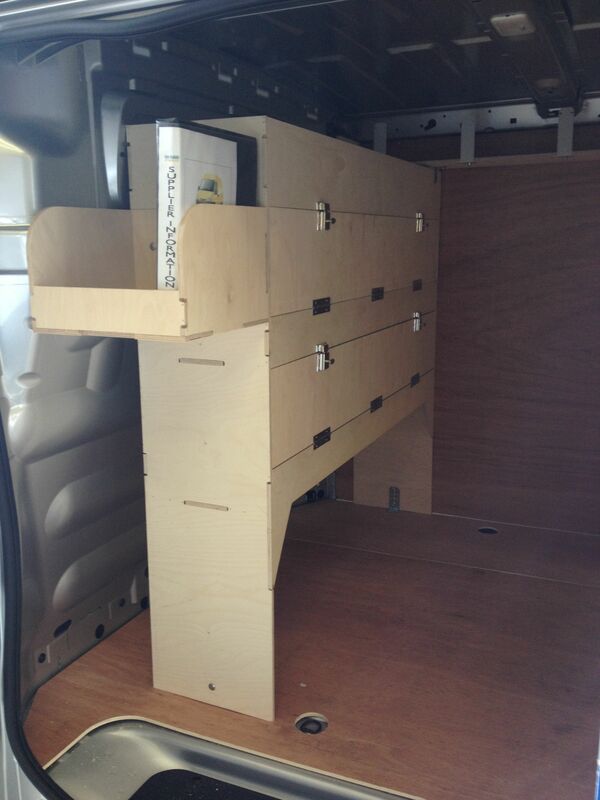 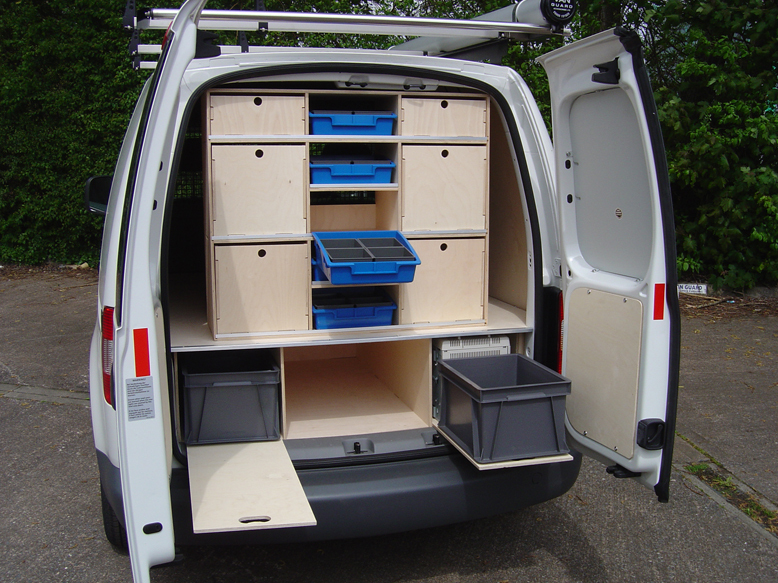 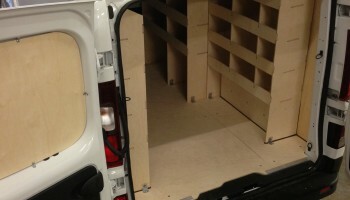 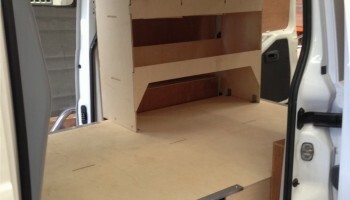 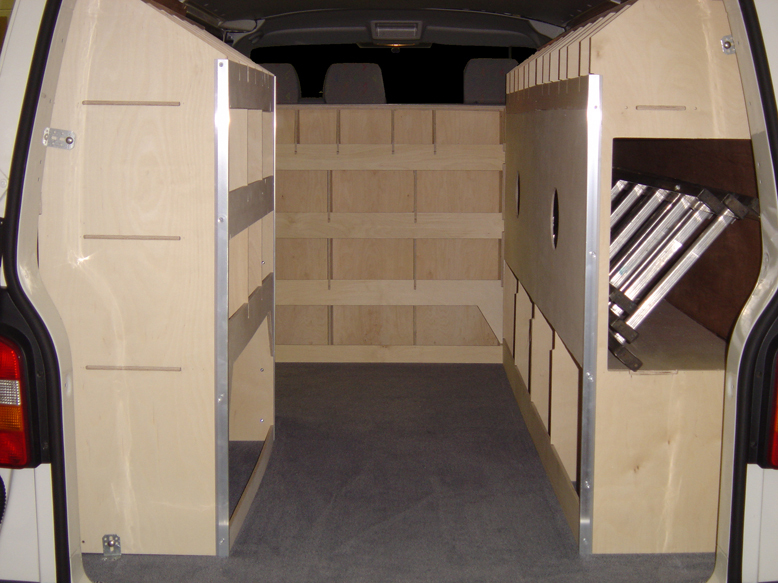 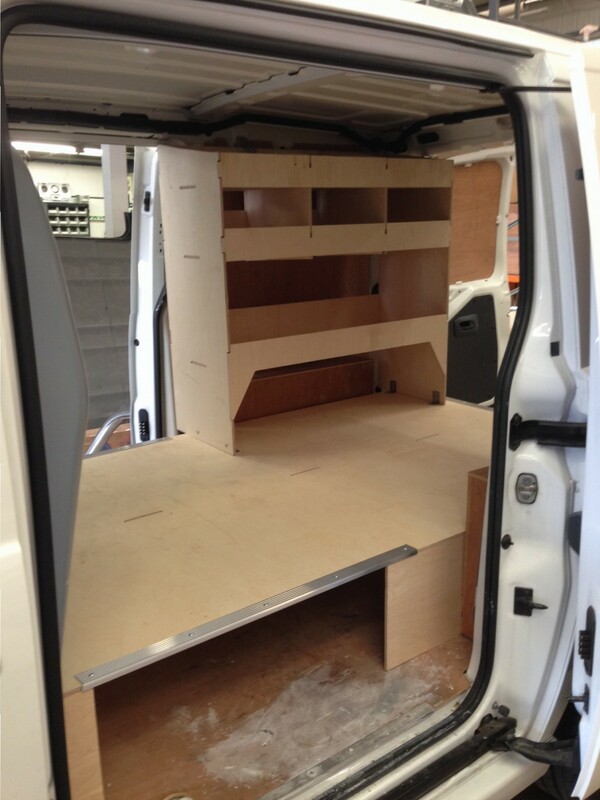 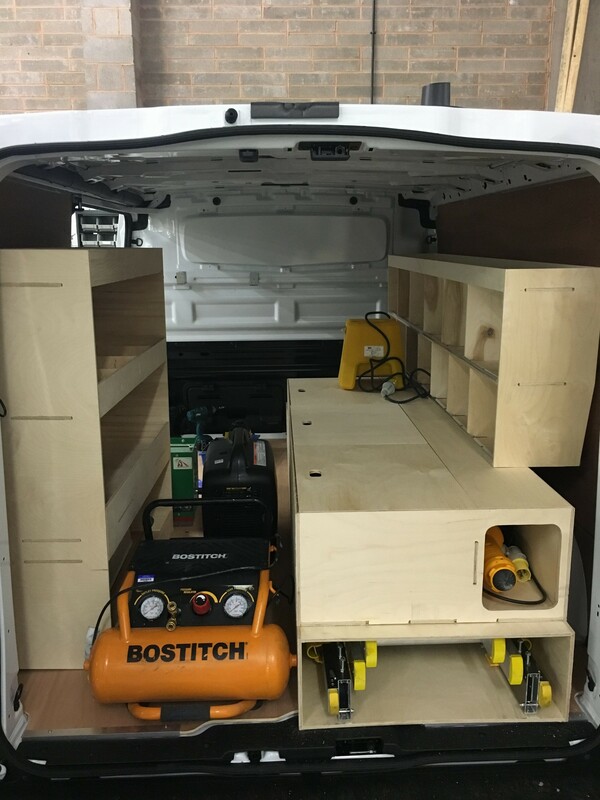 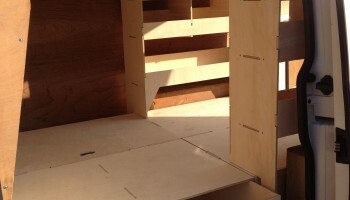 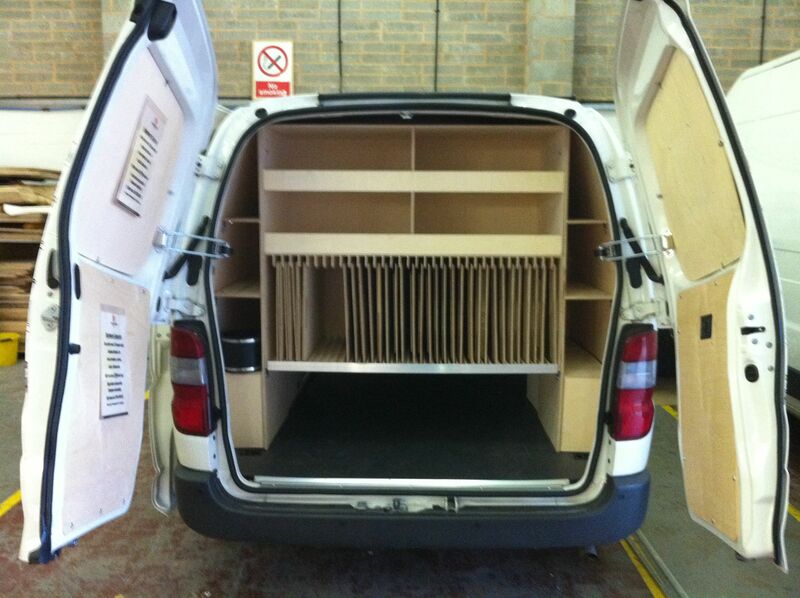 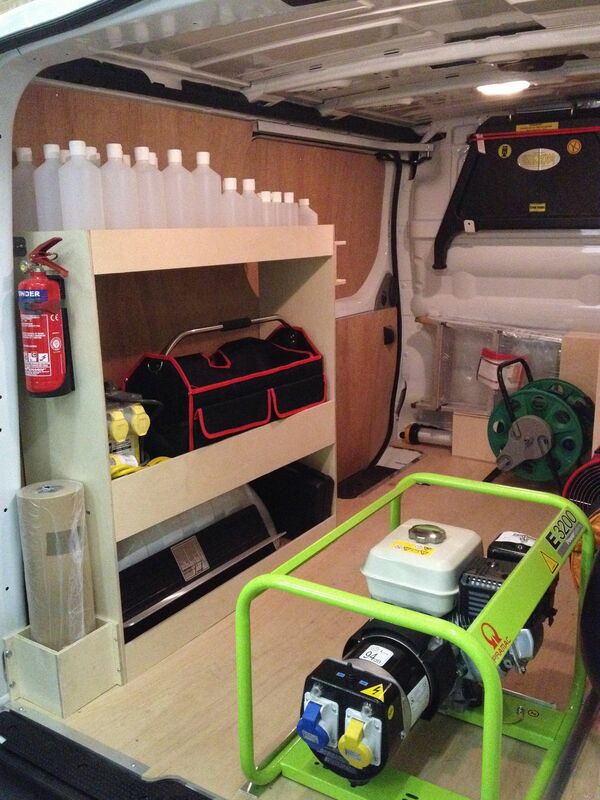 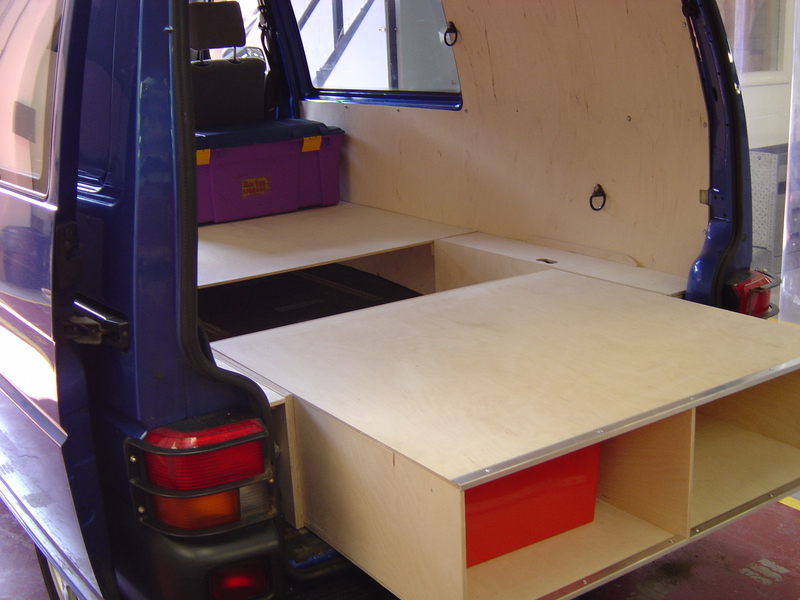 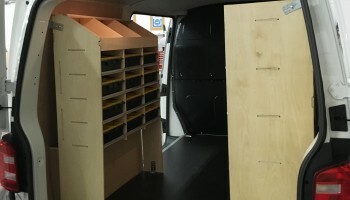 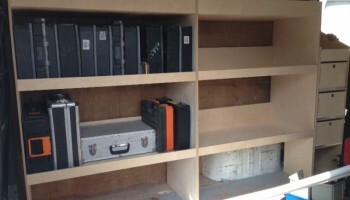 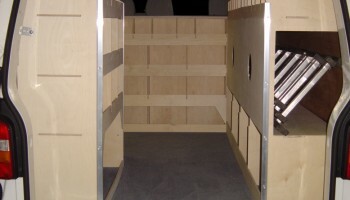 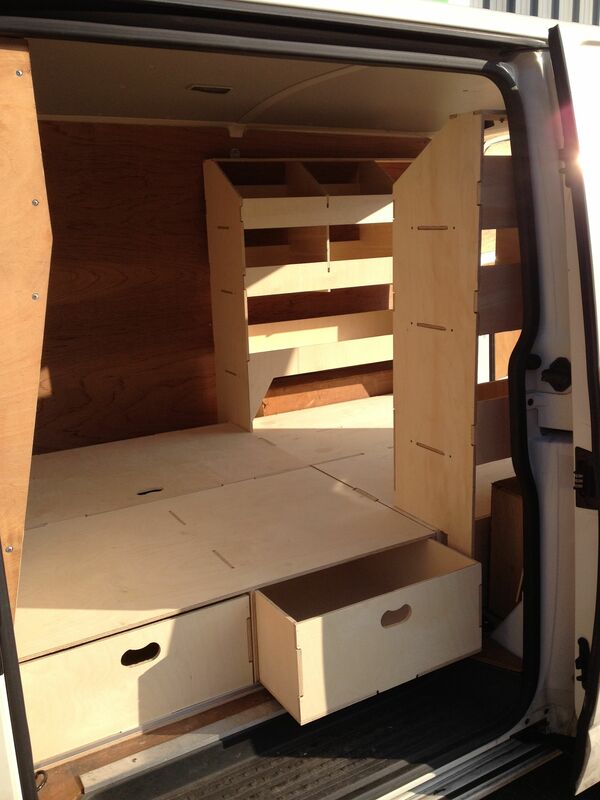 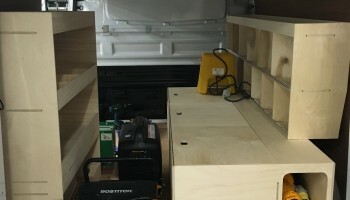 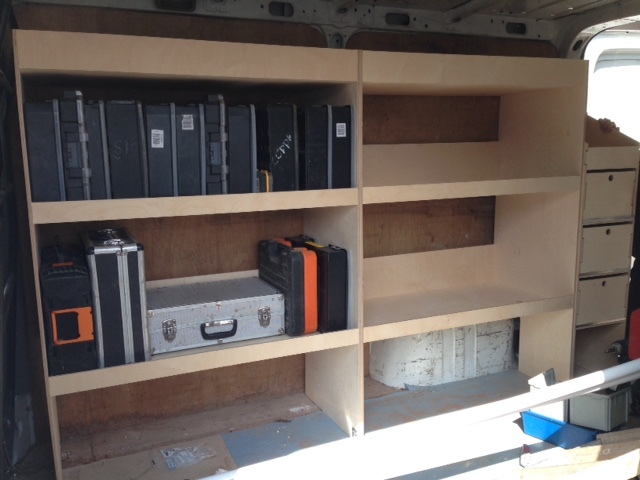 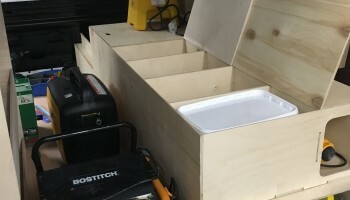 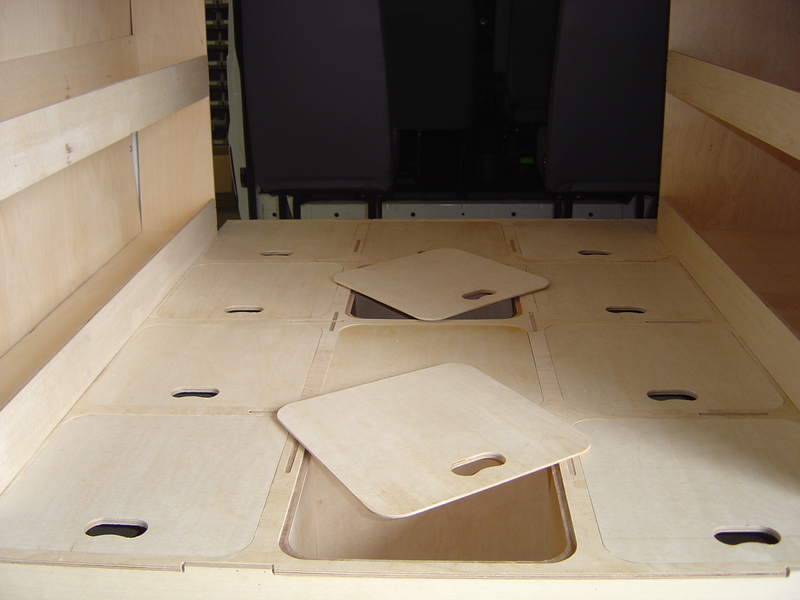 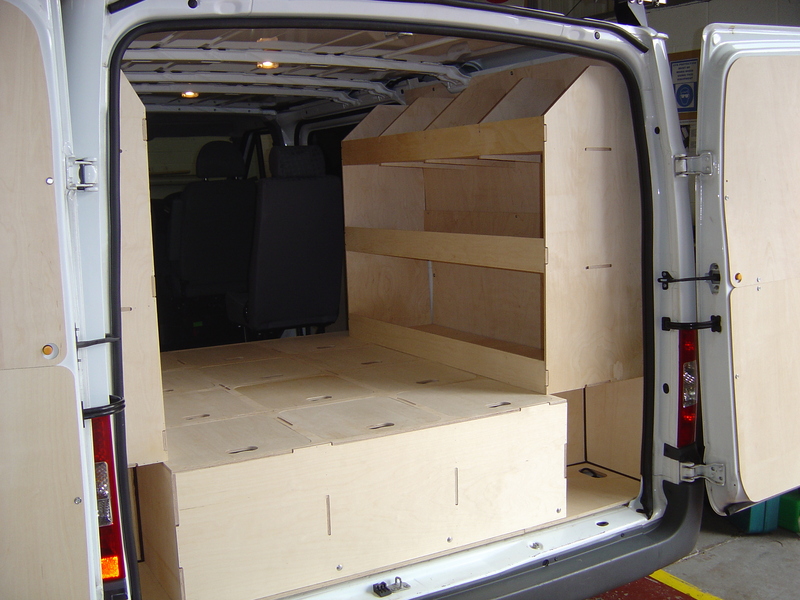 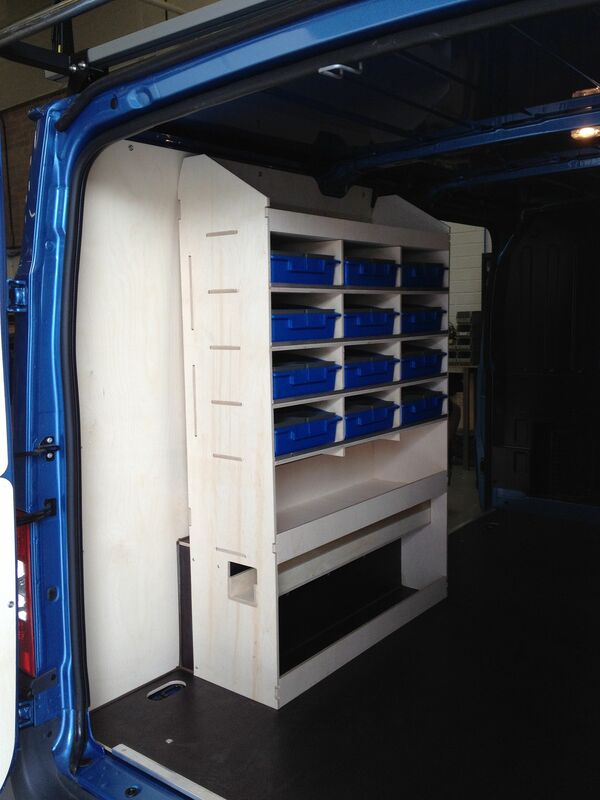 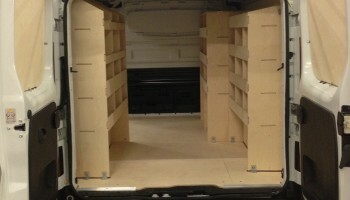 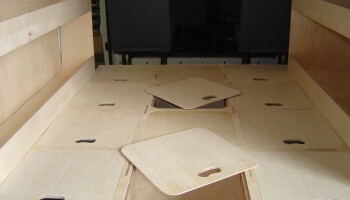 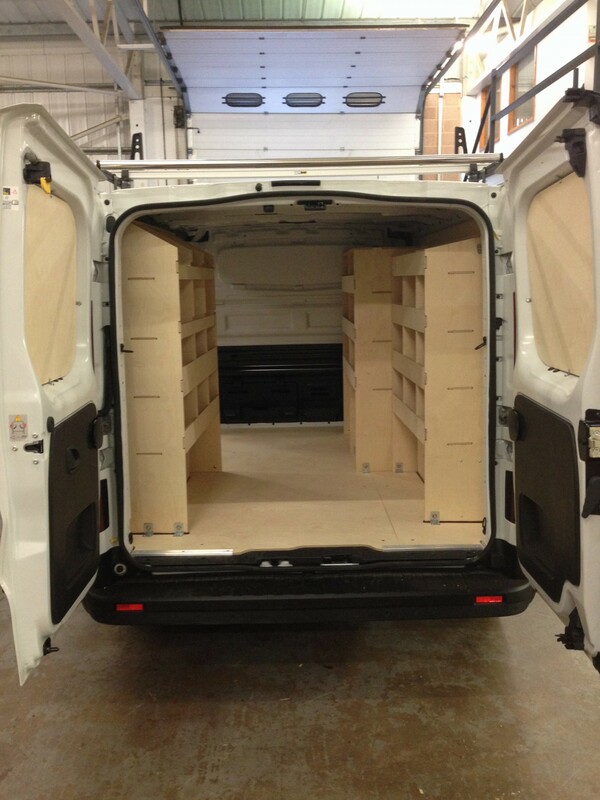 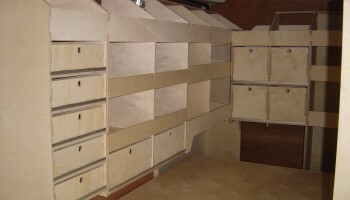 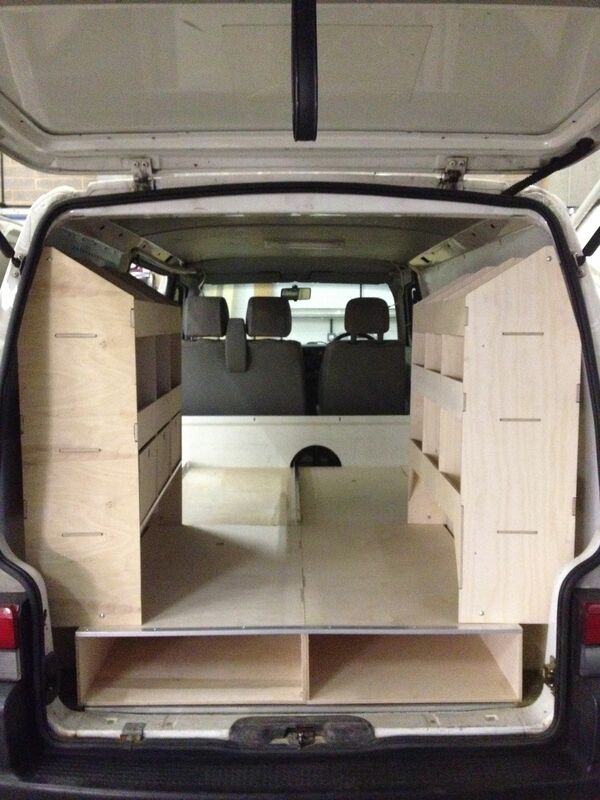 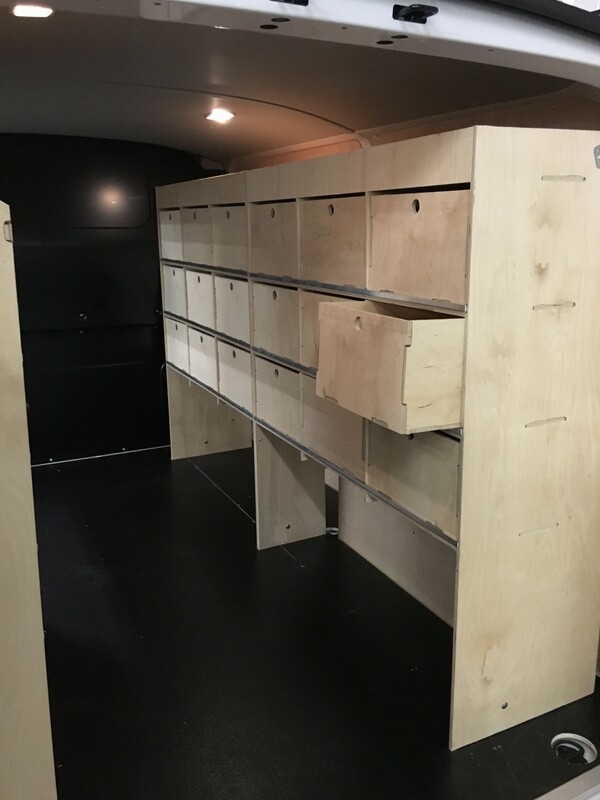 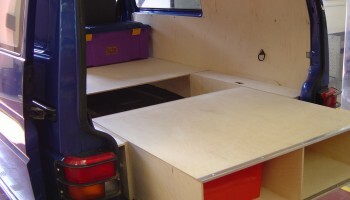 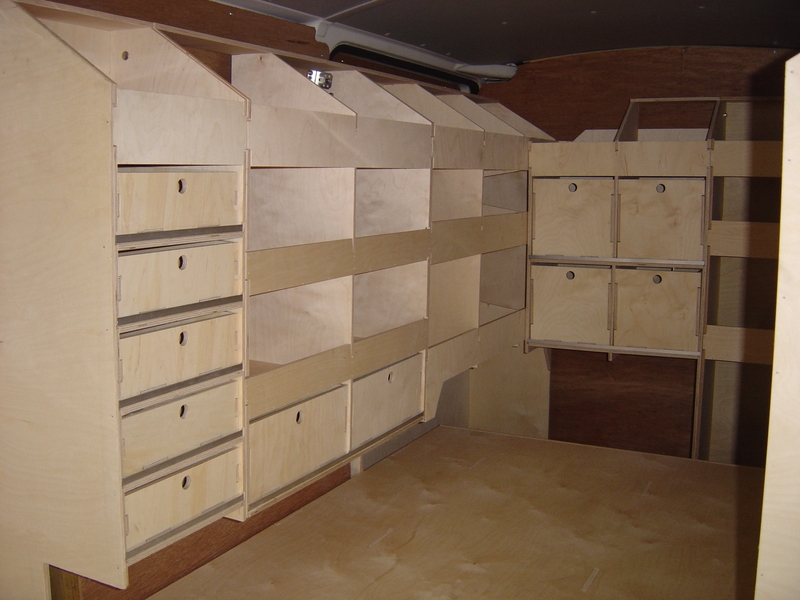 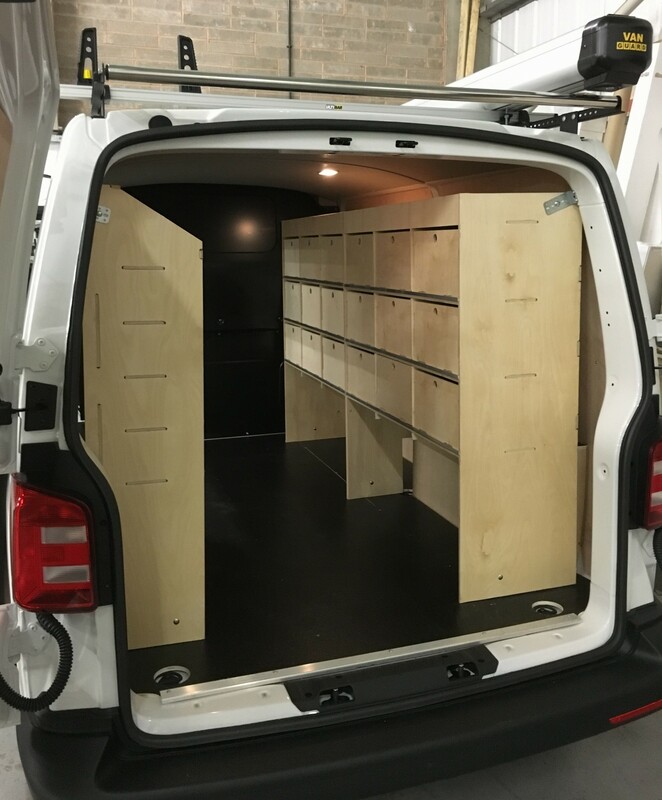 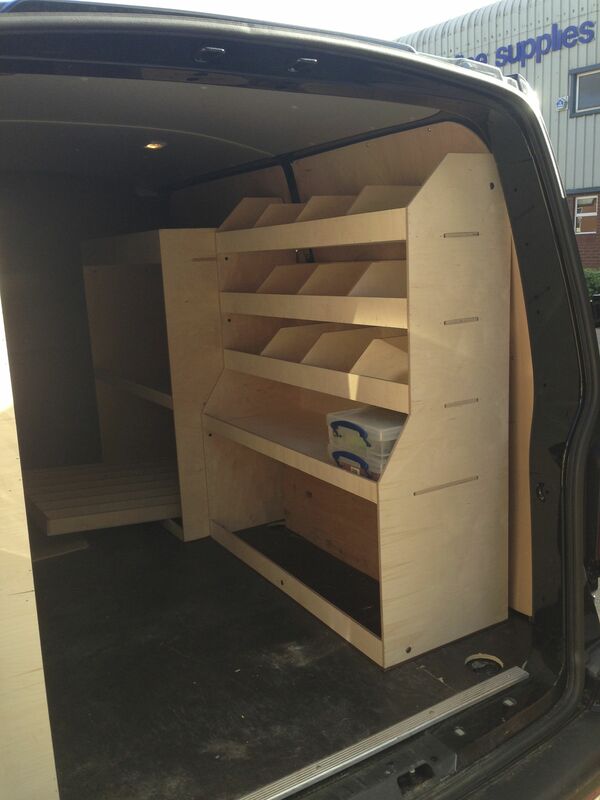 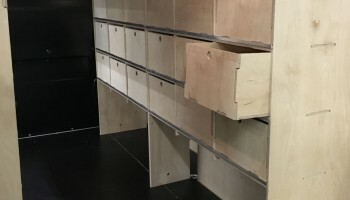 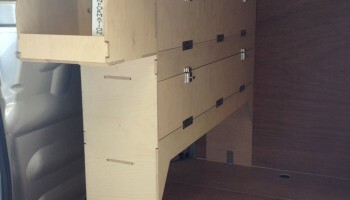 Our internal Van Racking products are manufactured from Birch Plywood, which means your van racking will be strong and durable as well as being perfect for storing your tools and equipment. 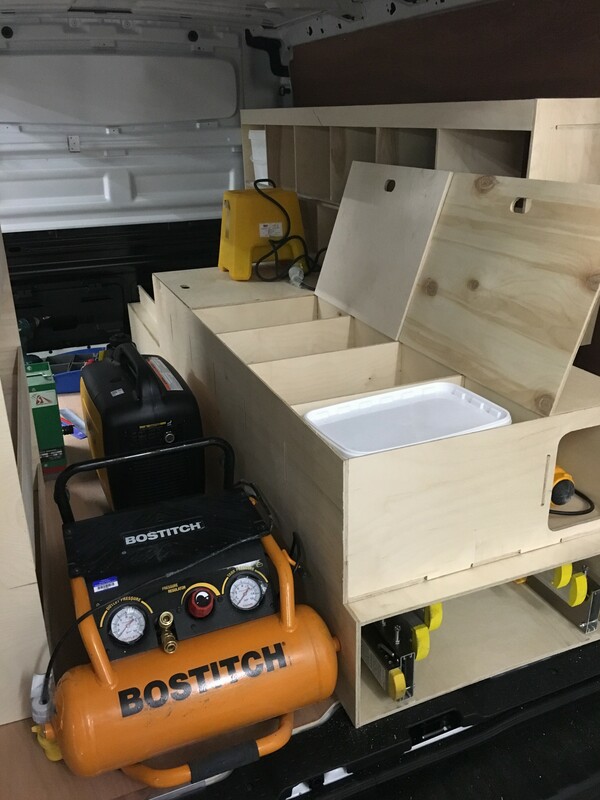 If you are a builder, plumber or tradesman, this helps keep you safe by keeping your sharp and dangerous tools properly stored away. 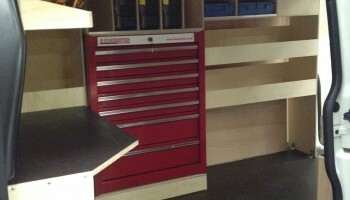 It also helps you find stock or tools quickly, saving you time and money! 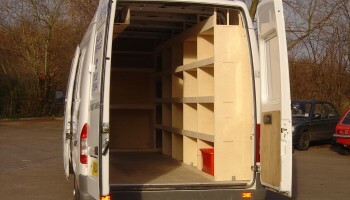 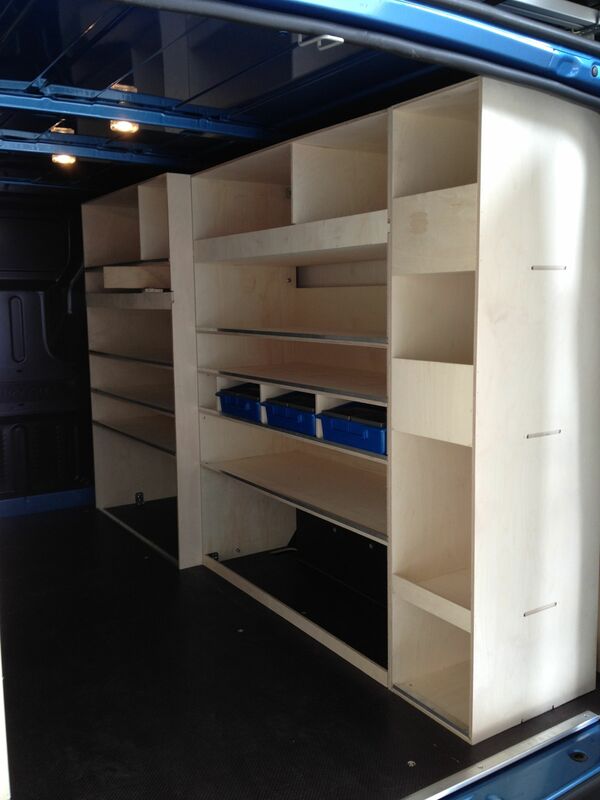 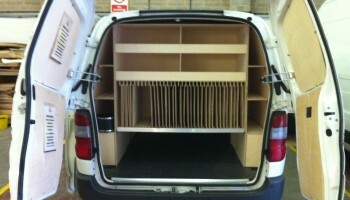 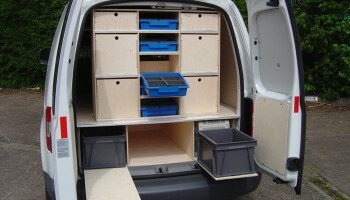 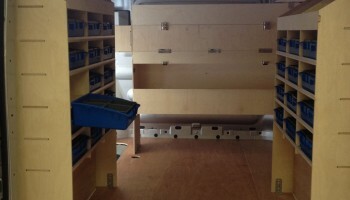 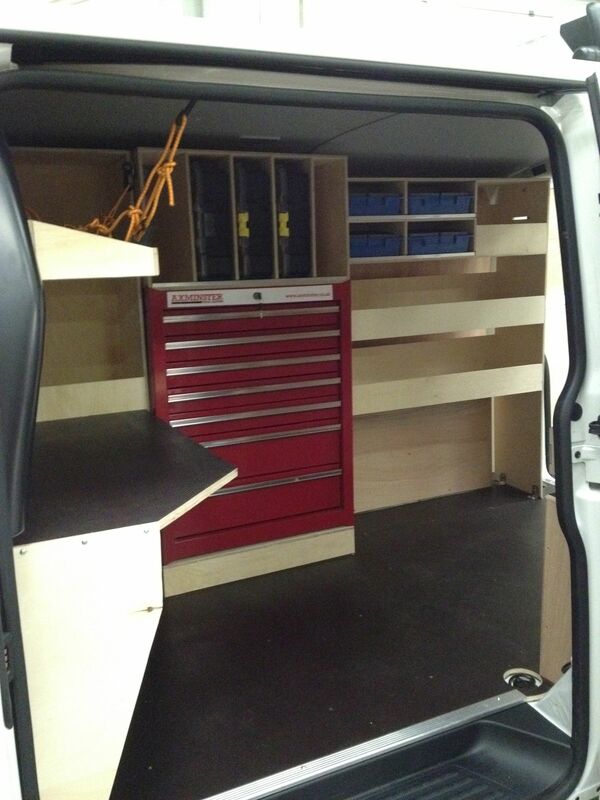 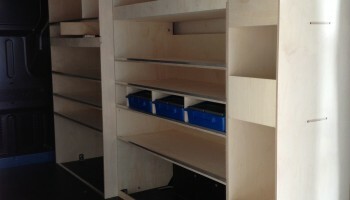 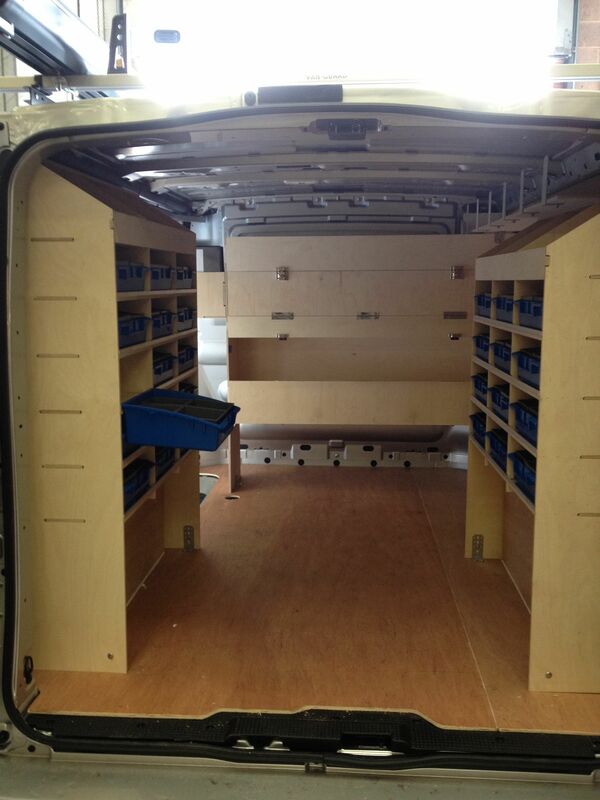 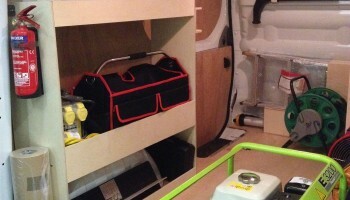 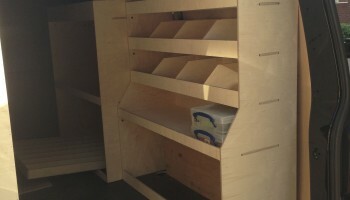 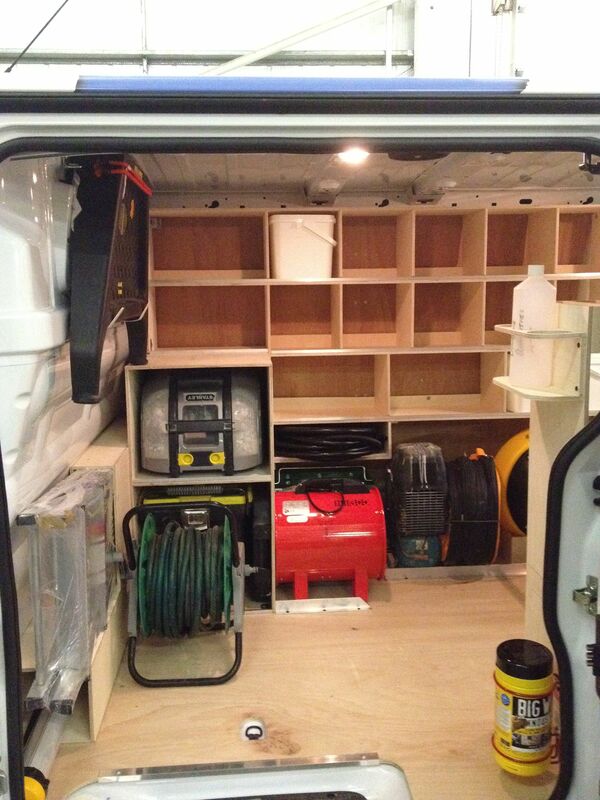 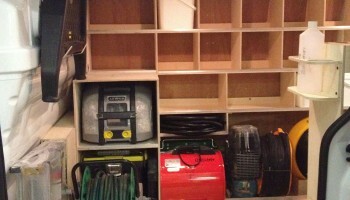 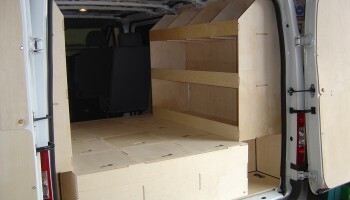 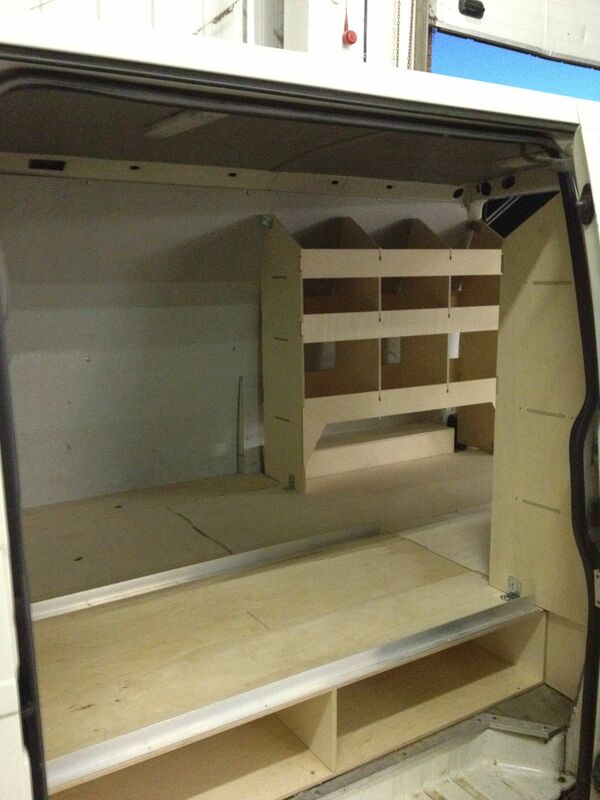 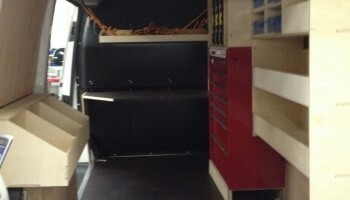 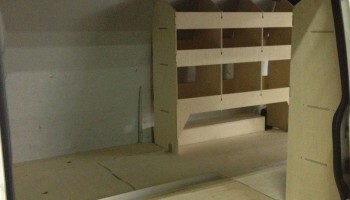 Our racking units are perfect for any business, large or small, who drive a van and have items to store. 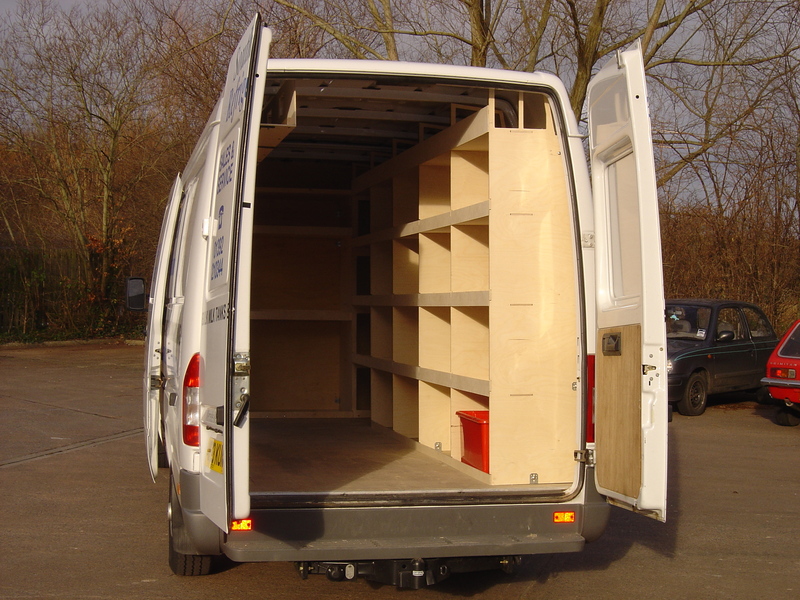 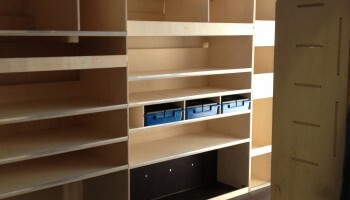 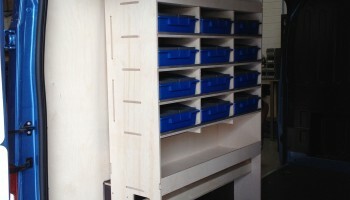 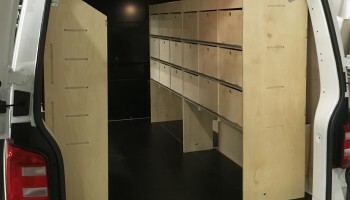 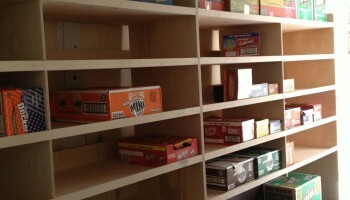 Our bespoke services means we can build racking that exactly fits your needs. 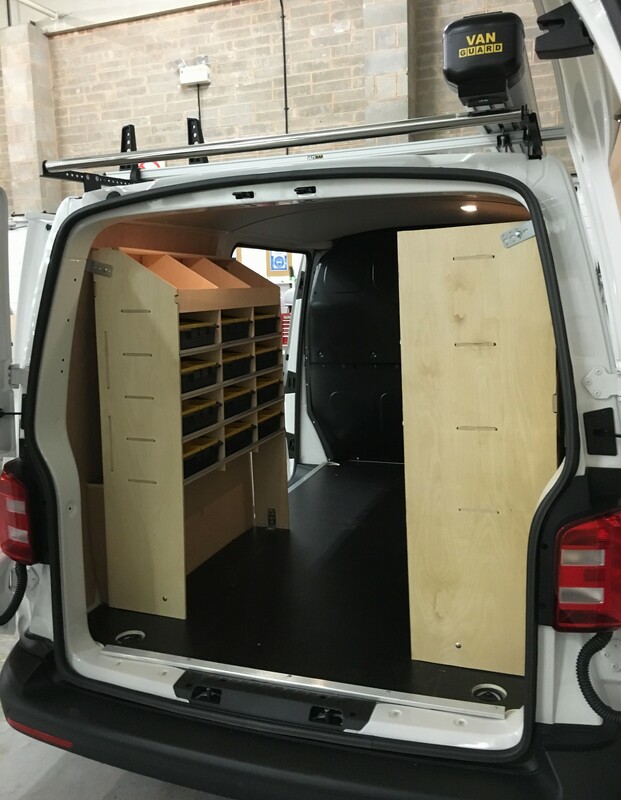 Because our racking is so durable, it is often the case that customers return to us to refit their original racking into their new van. 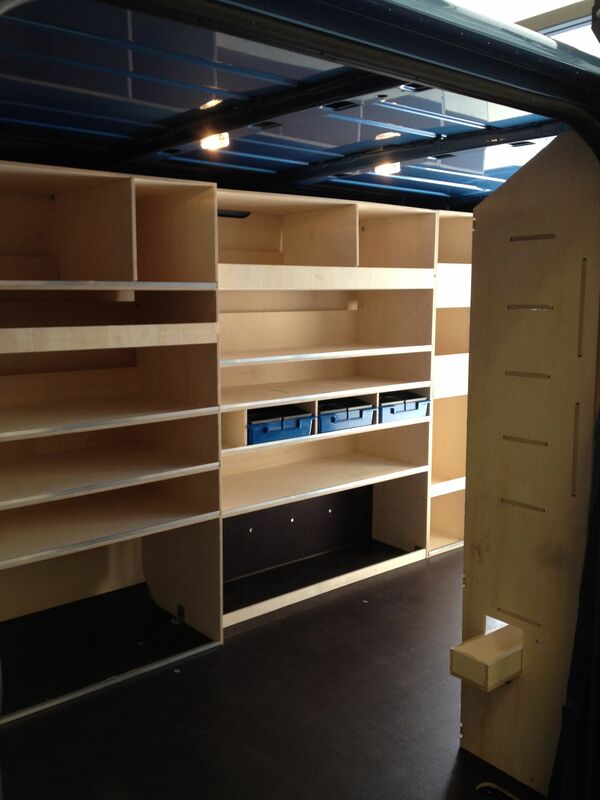 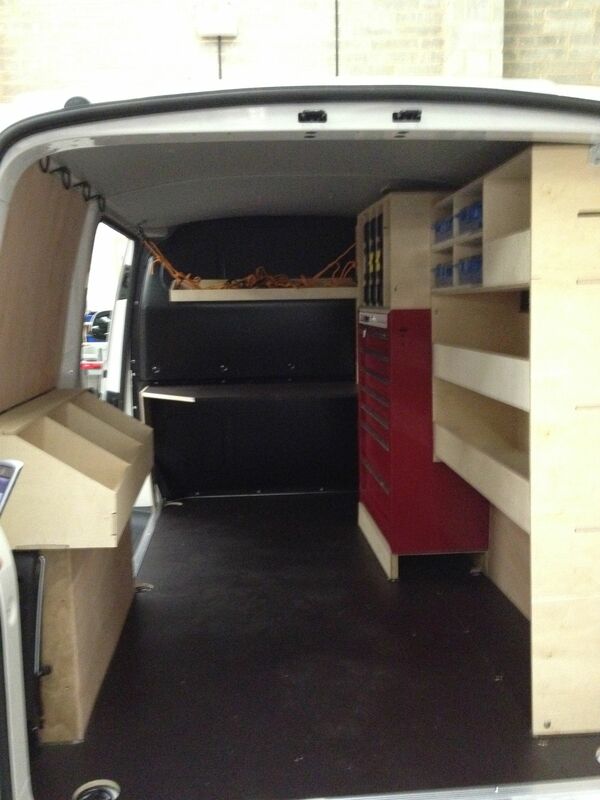 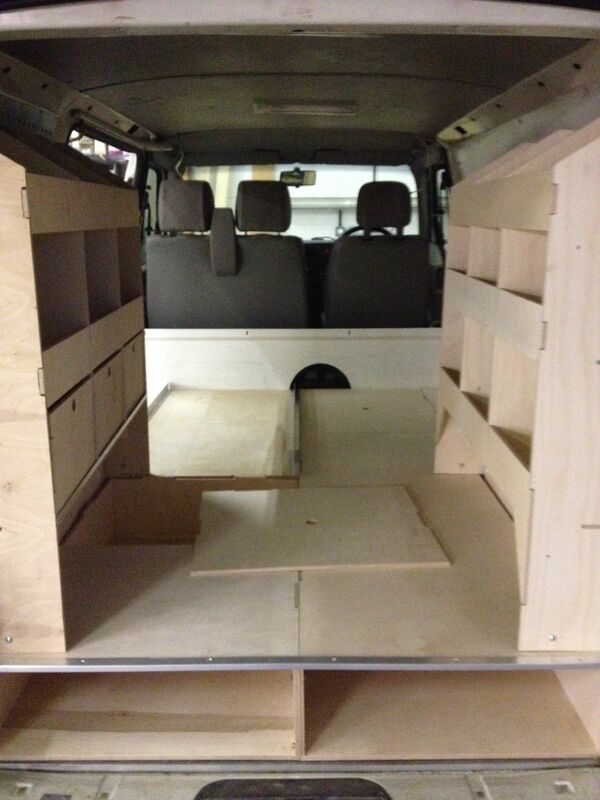 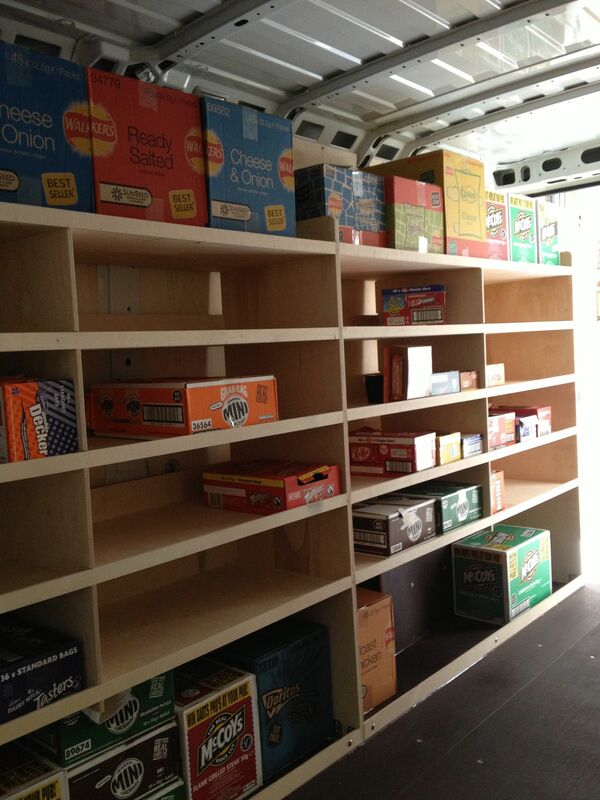 Please see below for examples of our Van Racking installations. 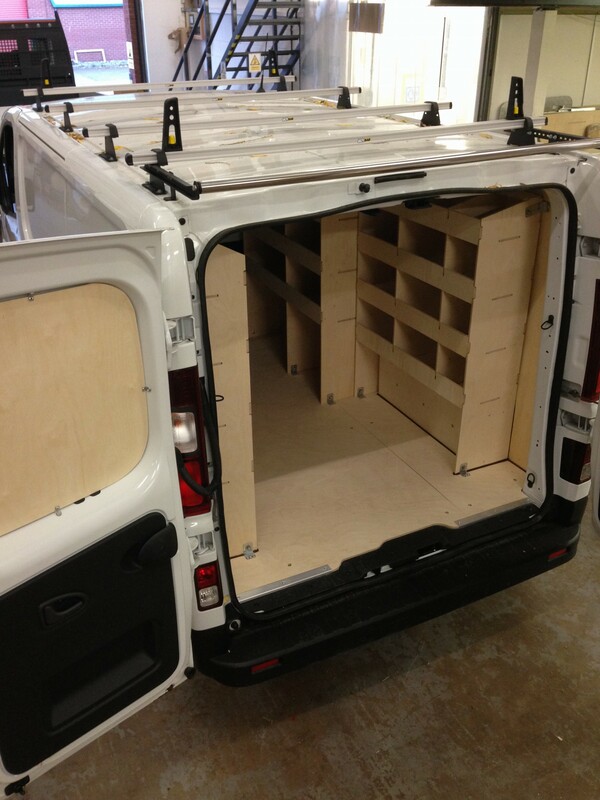 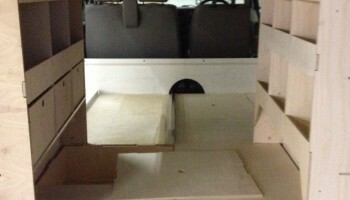 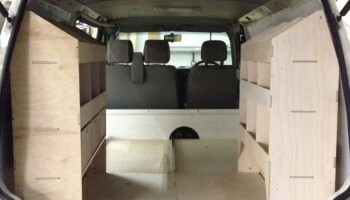 View our Van Racking service.